The discussion in the news media in the past few days has been regarding President Obama’s comments, the name of the terrorist group known as IS, ISIL, ISIS or Daesh, and whether this is a “religious” group or “just” extremists. The majority of US mainstream media does not grasp the complexity of this terror organization. Unwilling to think outside the box of predisposed personal biases toward their own faiths, they can not grasp that Muslims are facing the same complication within Islam when Daesh claims their name. This entry was posted in Media Issues, Religion, Social Justice, Solidarity, Terrorism and tagged al-Nusra, Al-Qaeda, al-Shabaab, Atrocities, Boko Haram, Christian, Christian extremists, Daesh, ISIL, ISIS, Islam, Islamic State, terrorism on February 20, 2015 by MNgranny. The world has not seen this much tumult for a generation. The once-heralded Arab Spring has given way almost everywhere to conflict and repression. Islamist extremists commit mass atrocities and threaten civilians throughout the Middle East and parts of Asia and Africa. Cold War-type tensions have revived over Ukraine, with even a civilian jetliner shot out of the sky. Sometimes it can seem as if the world is unraveling. This entry was posted in Civil Rights, Demonstrations & Protests, Elections, Government, Human Rights, Human Spirit, Kurds and Kurdistan, Memorials, Refugee Issues, Social Justice, Solidarity, Terrorism, War Crimes, Women's Issues and tagged Atrocities, Boko Haram, China, CIA, Epypt, Gaza Strip, International Agreements, Iraq, ISIS, Israel, Kenya, Kurdistan, Mexico, Nigeria, Palestine, Protests, Russia, Social Media, Solidarity, Syria, Turkey, Ukraine, War Crimes, Women's Issues on February 4, 2015 by MNgranny. With as many as 2,000 killed and 10,000 fleeing, few in the world are aware of Boko Haram’s most deadly attack to date. Since two terrorists affiliated with Al Queda attacked the press offices of French satirical magazine, Charlie Hebdo, killing twelve cartoonists/journalists and their security forces, the media has been obsessed with a saturated coverage as the drama played out. While the attacks were horrendous, and justified the world’s unity seen in response, we are left wondering why a blind eye and silent microphone is being given to the horrendous attacks in Nigeria, and why these deaths are no less deserving of attention. This entry was posted in Media Issues, Refugee Issues, Religion, Solidarity, Terrorism, War Crimes and tagged Atrocities, Boko Haram, Journalism, Nigeria, religion, sharia law, Solidarity, US journalism, War Crimes on January 10, 2015 by MNgranny. Their throats were slit, some were shot, and bodies burned to ashes early Tuesday morning, February 25th, in a massacre at the Federal Government College boarding school in Buni Yadi, Yobe, northern Nigeria. Approximately 60 students met their deaths at the hands of an extremist militant group, Boko Haram. This follows two attacks last week. In one incident, militants destroyed a whole village and shot terrified residents as they tried to escape. Last September, 40 students were killed in an attack similar to this morning’s raid. Last May, Nigeria’s President Goodluck Jonathan ordered offensive campaigns to bring the violence under control that have been blamed for triggering reprisals by militants against civilians. He defends his decisions and that of his military, saying that the militants have been contained to a small area near the border of neighboring Cameroon. Since 2009, the group is responsible for the deaths of over 10,000 people and the displacement of over 90,000 civilians attempting to escape the violence the group uses to enforce its views in the regions controlled by Bokko Haram. 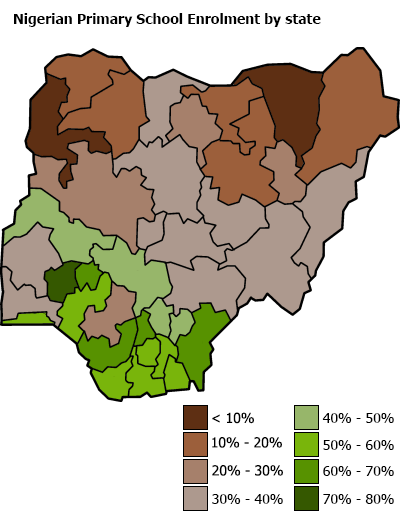 Education in Nigeria is more prevalent in the southern cities and population areas of the country. Less than 20% of the population in the north receive education, where these attacks are taking place. Formally known as the Congregation of the People of Tradition for Proselytism and Jihad, Boko Haram tends to attack schools that teach Nigeria’s national curriculum, which the militants consider to be Western. The group follows an extremely strict version of Islam, including sharia law, and its name means “Western education is sinful” in the northern Hausa language, a report from the BBC said. 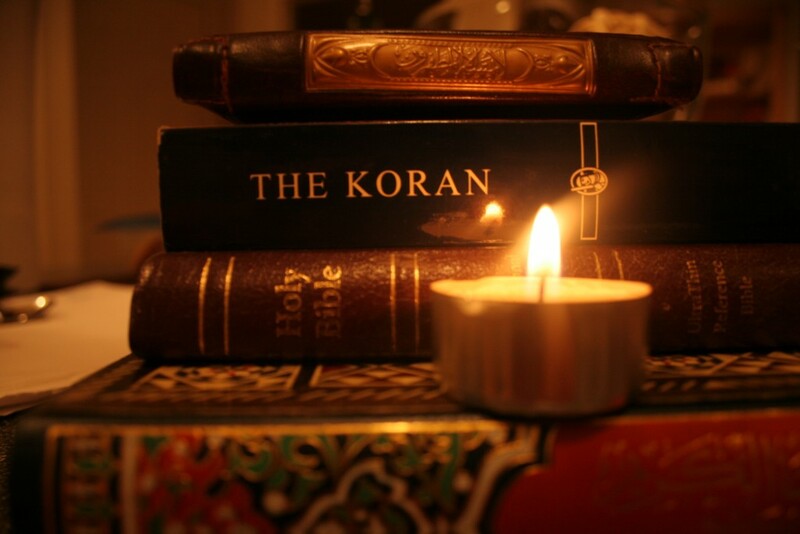 Boko Haram supports traditional Islamic education systems that educate only boys and involve teaching prayers and memorization of Quranic texts used in worship. Skills for trades are to be taught by village elders or family members, all male. Women are not educated in this system. Nigeria, in fact, is home to the world’s largest practicing population of indoctrinated FGM (female genitalia mutilation) known today. Researchers and scholars say there is absolutely no scriptural text in any world religion, including Islam, that condones such an atrocity. This entry was posted in Terrorism, War Crimes and tagged Boko Haram, massacre, militants, Nigeria, sharia law on February 26, 2014 by MNgranny.